ANKARA (Sputnik) - At least 260 members of Kurdish armed groups have been killed so far during Operation Olive Branch in Syria's Afrin area, the Turkish General Staff said on Tuesday. "In the course of the operation [Olive Branch] on January 23, one of our combat comrades was killed and one was wounded in clashes with terrorists. Meanwhile, at least 260 terrorists were killed since the start of the operation. The operation continues as planned," the General Staff said in a statement. 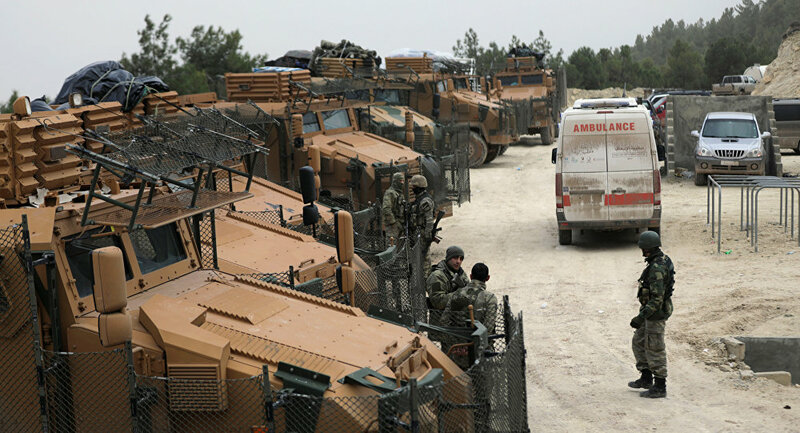 On Saturday, the Turkish Armed Forces launched an operation, called Olive Branch, against the Kurdish forces in Syria's Afrin district. Damascus has condemned Ankara's offensive, saying it was a violation of the country's sovereignty. Also, several countries expressed their concerns about the situation in the region. The United Nations Secretary-General spokesperson Stephane Dujarric said that the military operation has already claimed lives of civilians and forced about 6,000 of people leave their homes, adding that more than 120,000 displaced people currently reside in the targeted district.